Italy is a wonderful travel destination full of history, culture, a rich heritage, beautiful scenery and amazing food and drink. It’s a perfect place to go for a cosmopolitan city break, a long relaxing holiday, an adventure holiday and even to live. With scorching temperatures in the summer months, it’s a beach and lake holiday hub. In the winter, when snow covers its mountains, it’s the place to be if you’re looking for an exhilarating ski holiday. In-between the peak seasons why not experience the real Italy by hiking or biking through its awe-inspiring countryside. Whether you’re looking for a break away or hoping to relocate to Italy, you may find yourself needing some extra luggage. It can be expensive to lug around the heavy gear needed for an activity holiday, or to take over a large number of personal possessions. Send My Bag can help you avoid costly airline baggage charges. It's not just holidaymakers who need to transport several items to Italy. Many students choose to study in Italy for their full course or for just a term as part of a scheme like Erasmus. Or students might decide to spend their third year abroad teaching English in a school. Students will need to send several bags of their possessions to Italy in order to set up home abroad. This allows them to have many more of their things with them than if they only brought what they could check into the plane's hold (at considerable cost). With Send My Bag you can send your luggage and boxes to Italy. You can save yourself a lot of stress and hassle by sending your possessions with Send My Bag. This will allow you to bring lots of your home comforts to make Italy feel a bit more like home. With your possessions taken care of, you can busy yourself with exploring your new surroundings. Send My Bag has numerous international routes, with great rates for each route, and you can pack up to 30 kg per item. To discover more about sending luggage to Italy, take a look at our ‘How it works’ page, or our ‘FAQs’. Non-Italian Passport holders will need to provide Send My Bag with their Passport and Proof of Entry (can be provided to us by logging into your account). Send My Bag will then apply for a “Temporary Fiscal Code” from the Italian customs service using an EORI submission which will allow shipments of Personal Effects to enter Italy duty-free. This process usually takes c. 5 days from the date of the shipments arrival into Italy. Shipments can then be released as soon as an EORI code is generated. Unfortunately Send My Bag are unable to apply for an EORI Code for holders of EU Passports, therefore if you hold dual nationality we would recommend you provide any non-EU passport held. For those who do not hold a non-EU passport, and therefore cannot obtain an EORI code, shipments will incur duty of around 30-50€ which will be billed upon delivery by the driver. Italian customs have a limit of €45 for shipments of gifts entering the country duty and tax free. Where shipments have a declared value exceeding €45, duty and taxes can be applied to the entire shipment's value. The Italian lakes, which include Lake Maggiore, Lake Lugano, Lake Como and Lake Garda, are celebrity haunts and wonderful family holiday destinations - great if you like to get out and about and explore. If cities are more your cup of tea, Rome is a must, being so full of history. 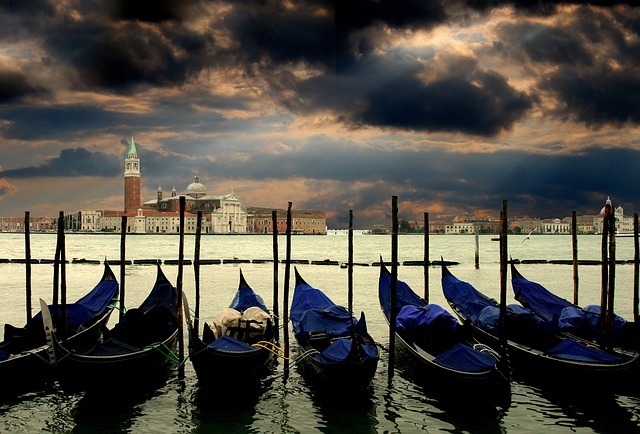 Then you have wonderful Venice with its Grand Canals. Or how about the stylish fashion capital, Milan? And you mustn’t forget the ancient city of Florence!